Laptop Update: Still being worked on...the BF has all the parts he needed to transfer the harddrive to a desktop PC so that he can scan for the viruses. Thanks again for your patience! Practice practice practice. This is the only way to learn. First, you have to master doing makeup on yourself…you’re a walking advertisement of your services. Try to venture outside of your comfort zone and do new techniques you’re not used to doing. Next, practice on your friends and family. Everyone wants a free makeover! Try working on models of various ages and ethnicities…believe me, it’s a lot different from doing makeup on yourself. This is where you learn what works and what doesn't. Pay special attention to speeding up your application time as well as your verbal rapport with clients. Do your research: There is so much to learn about makeup and beauty in general. From color theory to skincare, it's more than just slapping some makeup on people. Knowledge is key. Take a trip to your library or book store and check out the amazing beauty books out there. This is where you can learn the basics. 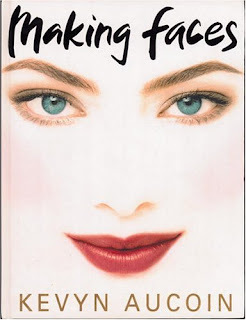 I for one love the Kevyn Aucoin Books - he shows you step by step picture instructions on his celebrity makeovers, and just plain inspires you with his artistic genius. Also utilize the web: some of the most helpful videos are off of YouTube. If you're truly trying to learn the technique of applying makeup on others, I highly suggest EnKore Makeup and Goss Makeup Artist - a quick youtube search will yield several of their videos. Don't forget about blogs too! Sign Up For Classes: Class instruction is something that both new and experienced artists should partake in. Check out schools in your local areas. Even MAC and some other large department store brands offer classes if you inquire about them. After a bit of internet research, I was able to locate an airbrush teacher in my area to teach me all about airbrush makeup. I continue to seek out classes to hone my skills and learn new techniques. Assist other Artists: This is a great way to learn. We all have something special to offer as artists and you can pick up so many tips and tricks through assisting. Contact artists in your area...some of them other lessons for a fee, and some will allow you to assist them on gigs. Hands on experience is truly invaluable. If you're in the Atlanta area, please feel free to email me for assisting opportunities or makeup lessons. Build a kit: Building a kit is very expensive and definitely takes time. To get the most bang for your buck, try buying in palettes. It’s so easy now-a-days to buy makeup artist friendly items via the web. Also, try buying from brands like Mehron, Ben Nye, and Kryolan. These are theatrical makeup companies that offer high quality, pigmented products at a third of the price of department store brands. As a makeup artist you'll need at least two sets of brushes especially if you work with multiple clients. For specific kit recommendations, check out my makeup kit blog posts. Get business cards: Give some to your friends and family so they can hand them out for you. These are also great for helping getting pro discounts. Every time you have a client, give them a few to hand out to people they know. Build a portfolio: Start taking pictures of every makeover you do…whether it’s your friend or an actual client. I love taking before and after pictures because this is what my everyday client wants to see. For a professional portfolio that you’d show to an agency, you don’t typically have before and afters so keep this in mind. Partner with a photographer…a lot of sites like www.modelmayhem.com are great places to do TFP work. Do the makeup on models and you’ll get pictures in exchange…this will help to build your portfolio. Keep in mind that pictures in your portfolio should be clear, have good lighting and show off the makeup. Do a website: For aspiring artists, a blog is a great way to start out. It's free and easy to use and you can easily show pictures and contact information. Use an online photo service like Flickr to start housing your online portfolio. From there, try transitioning to a professional website. You'll get a lot of new business from web hits. Advertise Sites like Cragislist are free and you can advertise your services. Try working with other people in the industry like photographers, wedding planners and see if they can advertise your services on their web pages. Leave your business cards at restaurants and tack them to bulletin boards. Lastly, word of mouth is the best kind of advertisement. Grooming: Look professional at your gigs. You are a walking advertisement for your business. No one wants services by someone with badly done makeup. I like to wear all black and a black apron to my gigs so that the know that i'm the makeup artist. Don’t smack gum with clients…mints are better. Make sure your kit also looks clean and is sanitized as well. Pricing: Check with artists in your area...prices vary depending on where you live. As a new artist, don't charge too much or too little. It's definitely important to price also according to your experience level. Don't be afraid to charge extra for special services like lashes, brow work, and airbrushing. Over time, as my experience and kit grew, my prices also slightly increased. Product Sponsorships: I get a lot of questions about how to receive free products from cosmetics companies. Honestly, if you have a popular blog that offers professional reviews, companies should start coming to you. You can leave contact information on your blog or website for companies looking for you to review products. It's up to you whether or not you want to review or accept their product. I'm honest with companies and if they offer a product that I don't like, I don't review it and don't use it in on myself or in my kit. When you get to the professional level, many artists are offered free products in exchange for naming the products in their published works and campaigns. Taxes: The goal of most aspiring makeup artists is to eventually own, manage, and expand their own business. That could mean operating a simple website, or opening up a brick-and-mortar store. While those two things can help you prosper, it is important to understand that owning a business brings with it a whole new set of implications. One of those implications, taxes, is rather important. A good long-term goal would be to grow large enough to require an accountant. In the short-term though, you can do your own taxes with a little time and effort. In most cases, there are plenty of free tax filing options available that are convenient and easy-to use. Questions: There's so much to learn about the business and we all have questions. My suggestion? Google it...a lot of times people ask me for advice on basic questions which are easily answered by a quick google search to find that many other blogs or sites have posts on it. As an aspiring artist, you really need to get on your grind, read your blogs daily and research to obtain your own knowledge. It's more fulfilling and beneficial this way because you learn a lot more in the process. I'm always open and willing to answer my readers' questions, but I would definitely suggest trying to find your own answer first...be your own teacher. Definitely helpful. Thank you so much Ren. I've learned a whole from you (especially your super bright tuts!) and I've been stepping out of my comfort zone more. I really wish I was in the Atlanta area. Great post! I've been getting a lot of practice through model mayhem Do you have a profile there? Add me :) I'm makeupaudrey there. This is the exact information I was looking for! Thank you for this blog post. I admire your work and love your videos. i want to become a make-up artist in the future, maybe a part-time job or hopefully full time! i reread this article of yours and make it like a list! thanks for this tips! Nice Post....This is great information for people who are looking for makeup tips & advice. Great idea indeed!